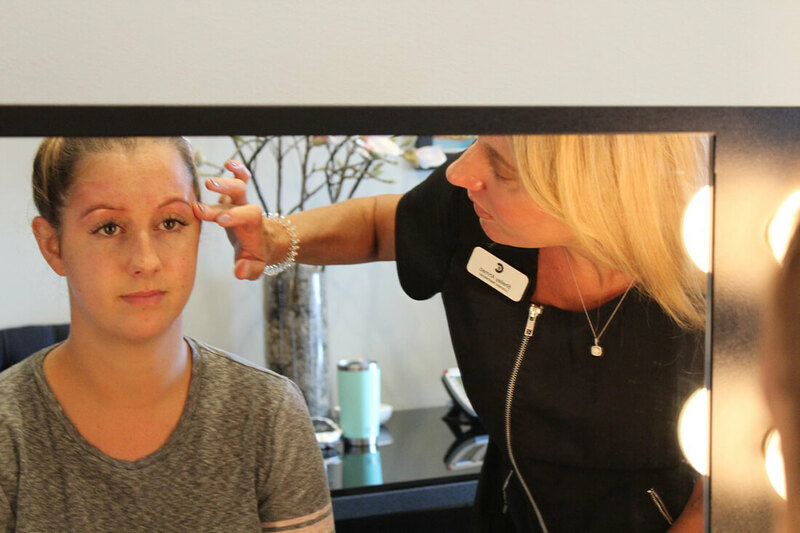 Clemson Eye offers advanced treatments for skin rejuvenation. 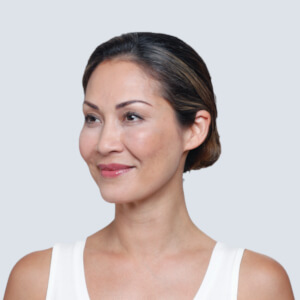 Our aesthetic specialists can assess your skin’s condition, and help determine the best course of treatment for a more confident and beautiful you. Take advantage of our expertise with a free consultation, by requesting an appointment online or calling 864-622-5005 toll‑free today. 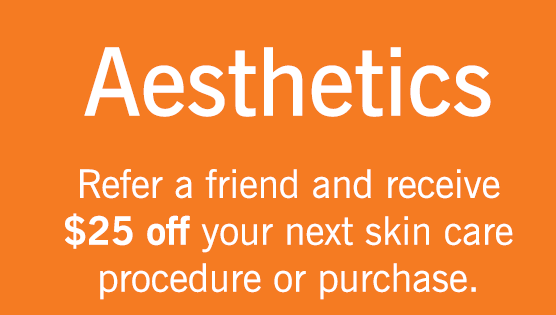 When you refer an aesthetics client to Clemson Eye, you’ll receive $25 off your next aesthetic procedure or skin care purchase with us. 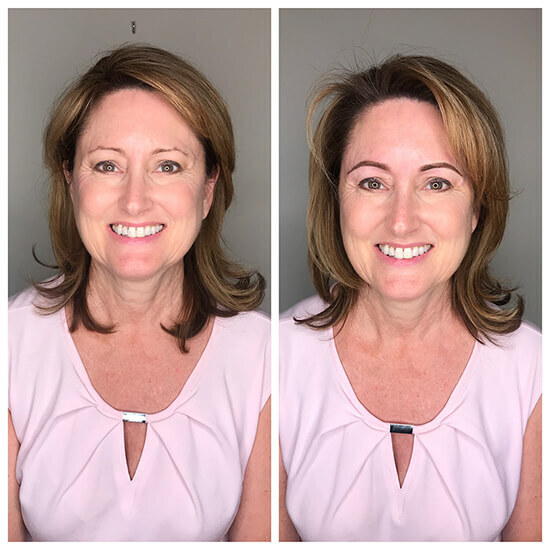 BOTOX® Cosmetic helps decrease those “distressed” lines between your eyes (glabella), soften your eyes’ smile lines (crow’s feet) and lift your eyebrow. It can smooth the lines on your forehead and the ‘bunny lines’ on sides of your nose. In addition, Botox can give your smile a lift and smooth your dimpled chin. 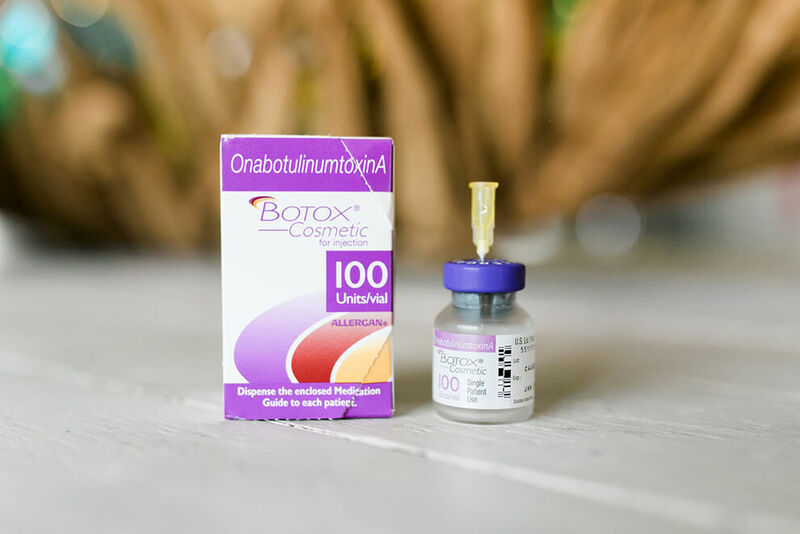 Botox is a natural purified protein. When injected, it temporarily relaxes the facial muscles that cause wrinkles. It leaves you looking fresh and natural. When you visit Clemson Eye for Botox, Juvederm XC treatments, Latisse or SkinMedica products, you earn fantastic rewards with the Brilliant Distinctions Program. The good news is that Clemson Eye will manage the rewards program for you. You don’t have to do anything but SAVE! We set up your Brilliant Distinctions account. We record your earned points. We redeem your points when you check out and automatically deduct them from your invoice – even on our specials pricing. Your Brilliant Distinction points are valuable and add up quickly. For example, one syringe of JUVÉDERM XC treatment is worth 200 points or $20. For more information, ask about the Brilliant Distinctions Program. Chemical Peels work well for both men and women, and for many different skin types and concerns. An ideal treatment for those wishing to restore a more youthful, healthy glow to the skin. We offer different levels of peels depending on your lifestyle and skin concerns. 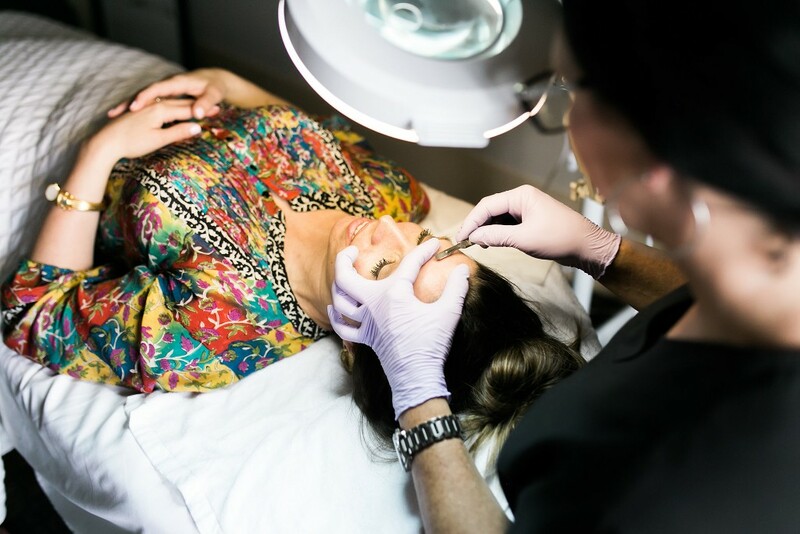 Our skilled aestheticians perform advanced clinical-grade facials that can help your skin look its best by addressing individual skin concerns. 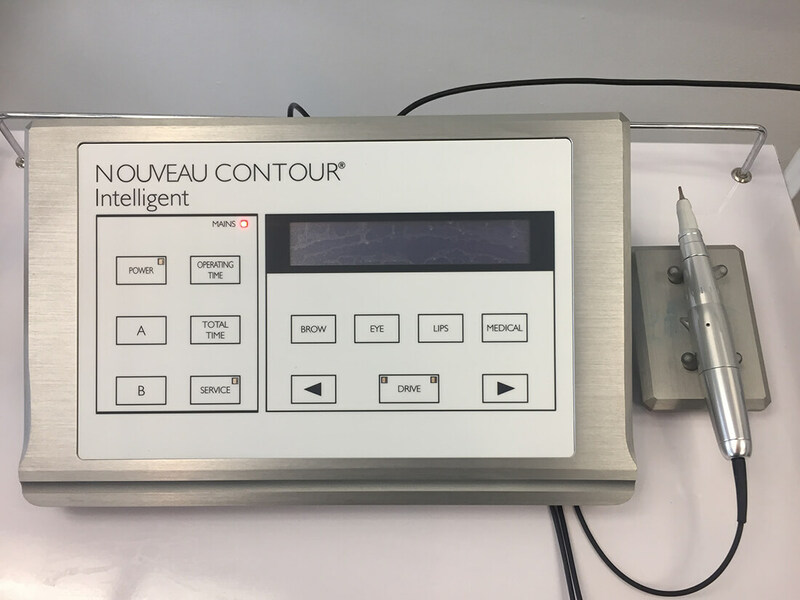 Each custom facial starts with a full skin analysis and consultation that enables you to work together to address your skin’s specific needs… Hydration, Anti-aging, Detoxifying, Acne, Relaxation, or sensitive skin conditions like Rosacea and Couperose. 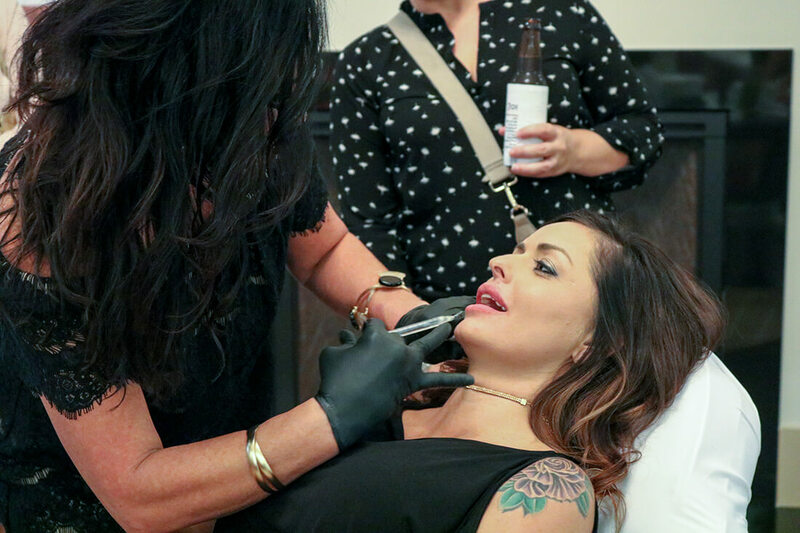 Dermaplaning is a method of physical exfoliation using a specialized blade to gently scrape off the top layer of dulling, dead skin cells in order to reveal a smoother, brighter complexion. It also eliminates the ‘fuzzy’ vellus hair on the skin and creates a silky smooth surface. 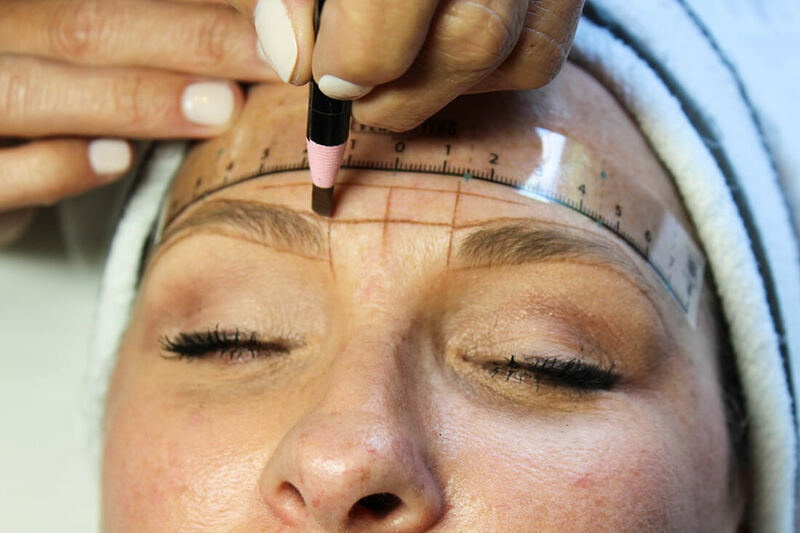 Dermaplaning is often used as a ‘first step’ in many facial treatments such as chemical peels or clinical facials. 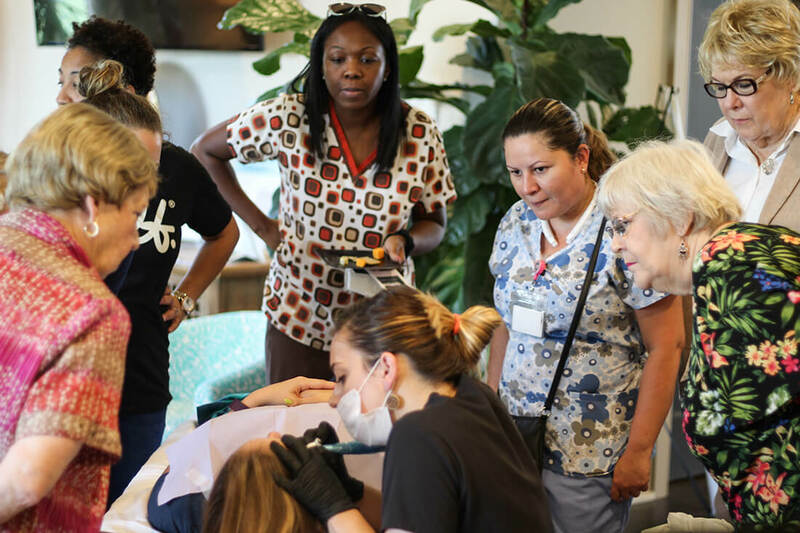 Dermaplaning is safe for all skin types, other than active acne, and is also safe for pregnant women and nursing mothers. Choose to have one, two or more treatments depending on your goals for radiant skin. Halo produces healthy, beautiful skin that will last for years to come. Try Halo, and your skin will love you for it. KYBELLA® is a prescription medicine used in adults to improve the appearance and profile of moderate to severe fat below the chin (submental fat), also called “double chin.” Kybella is the only FDA-approved injectable treatment for adults that destroys fat cells under the chin to improve your profile – whether you have a moderate amount of chin fullness or a bit more. To learn more about this treatment, click here. LATISSE® is clinically proven to grow eyelashes longer, fuller and darker. 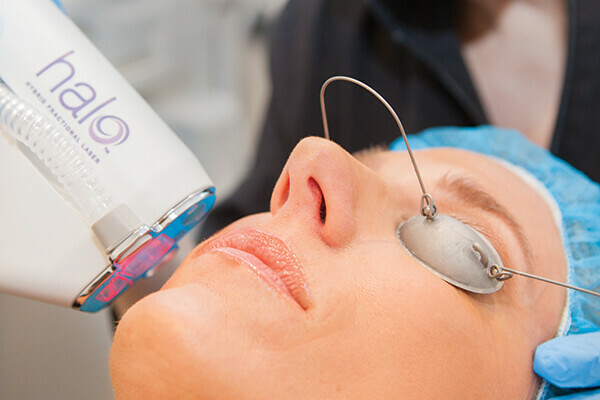 LATISSE® solution is a once‑a‑day topical application to the base of your upper eyelashes. It works gradually and remarkably – with results as early as week four and full results at week 16. 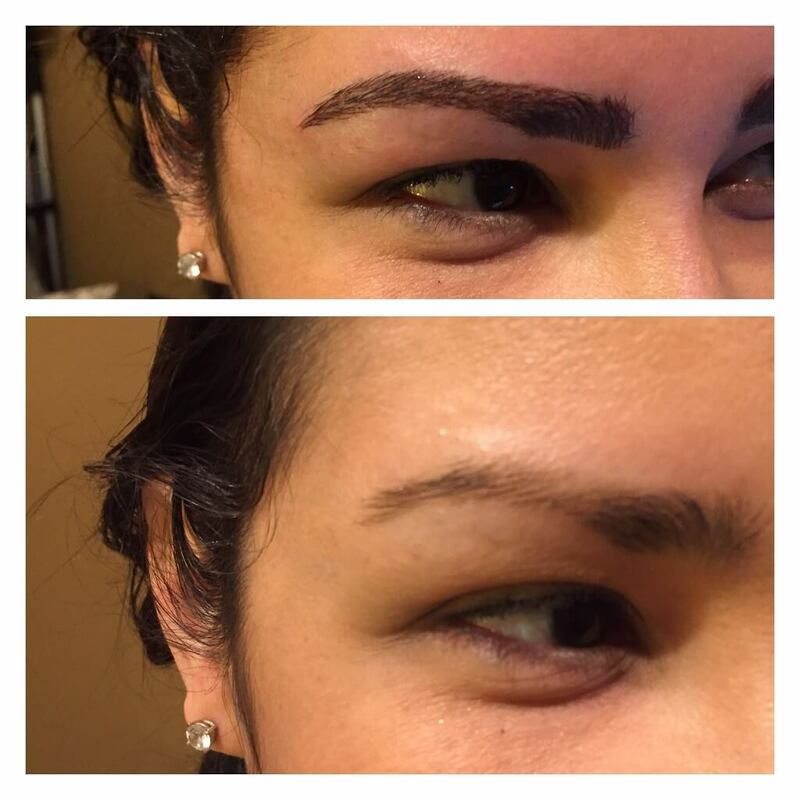 Microblading is a method of applying of semi-permanent make-up. 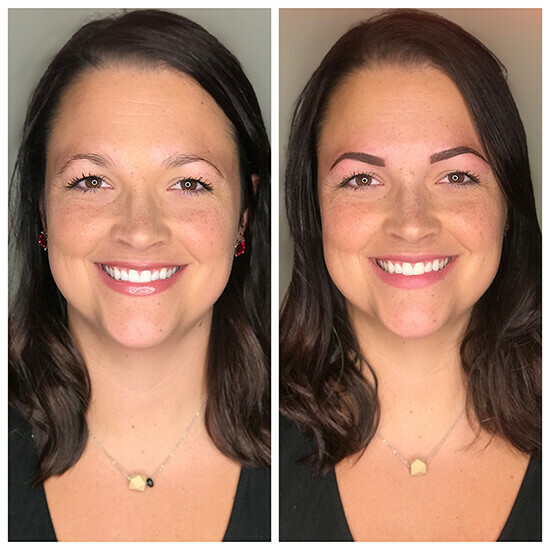 Microblading is done by manually inserting pigment into the upper layers of skin to give the impression of fullness and shape to the eyebrows. It is done with a very specialized blade and pigments which design sharp, crisp, extremely natural hair-like strokes. The results are completely maintenance-free, and typically last 18-24 months. 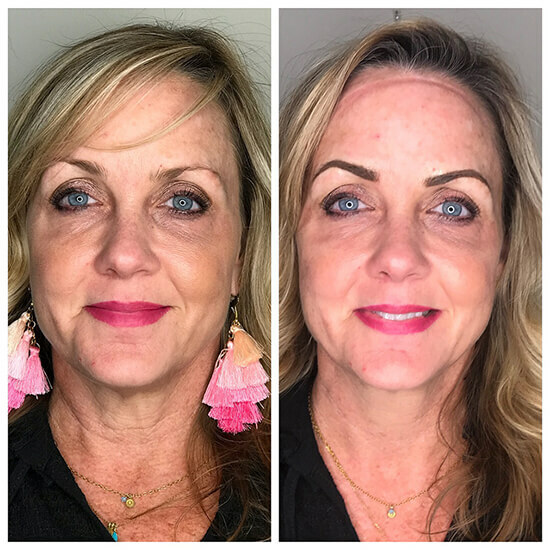 Microdermabrasion is a highly effective treatment that can achieve dramatic results: it softens fine lines, smoothes the skin & decreases the appearance of scarring and pore size. 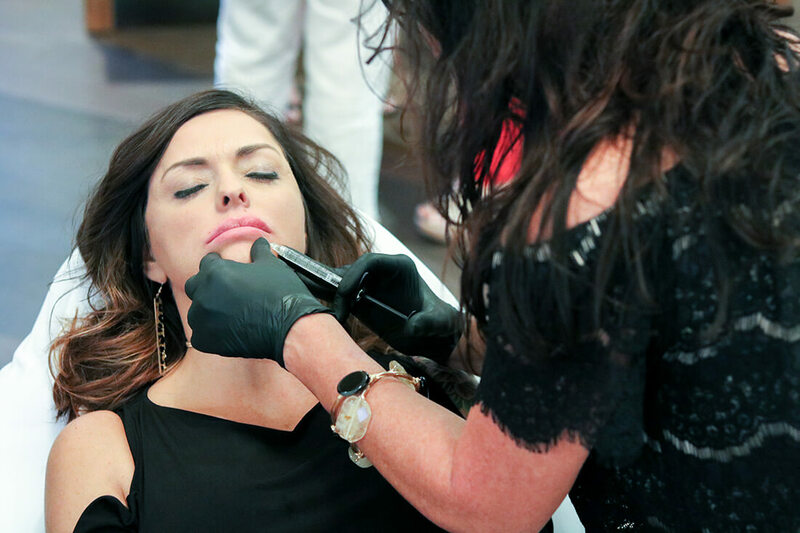 Microdermabrasion is best done as a series of treatments, with typical regimes consisting of three to six treatments every two weeks, though our aesthetician’s will recommend a program suited to your skin. CR-X: This system is ideal for someone who has early signs of skin/sun damage. Packed full of Vitamin C this system gives you a brighter look and fades those pesky brown spots. Clenziderm M.D. : A complete acne treatment system specifically formulated for normal to oily skin to help treat acne where it starts. Professional-C Serums: Your skins daily dose of OJ! Prevent free radical damage and brighten your skin at the same time. Vitamin C is a must have in caring for your skin. Gentle Rejuvenation: Complete skin care system specially formulated for sensitive skin and for those not yet ready for more aggressive treatments. Includes clinically supported ingredients to help improve the appearance of prematurely aged skin. 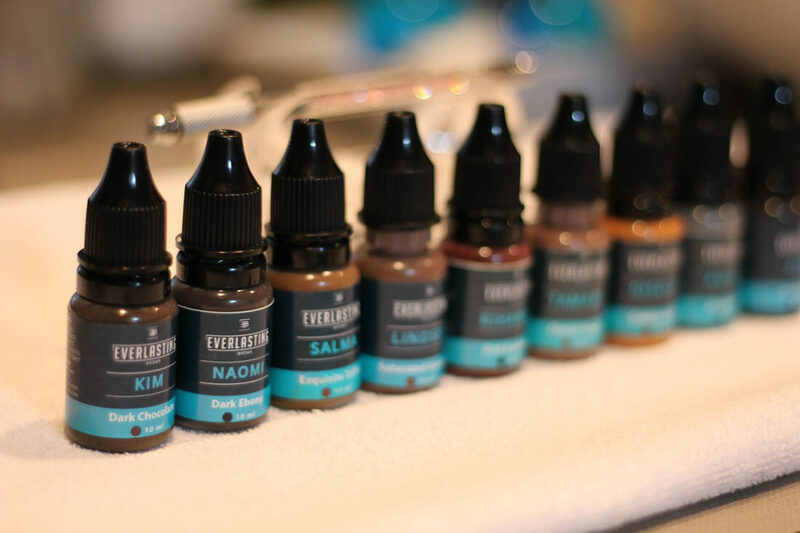 ELASTIderm Eye Cream: Your skin care regimen is not complete without an eye cream! For firmer, more resilient-looking eyes try this product today. Formulated with clinically proven ingredients. Sun Protection Creams: Do not undo all the hard work you have out into your skin at home, or with your skin care provider, wear SPF daily. 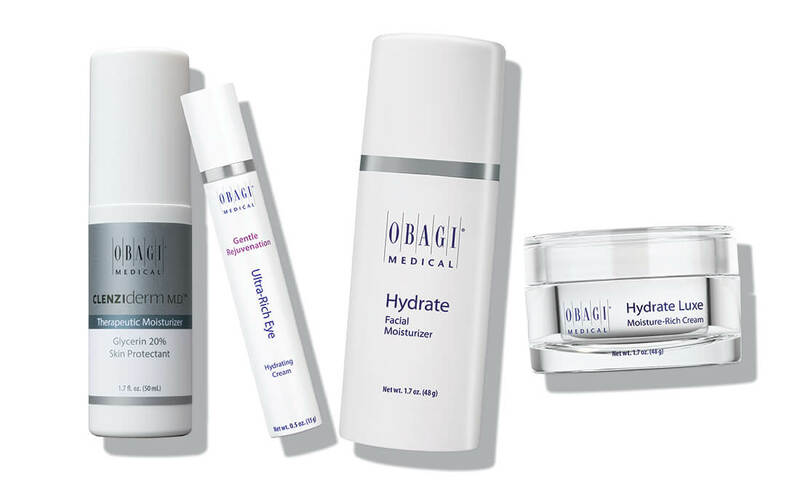 OBAGI’s SPF 50 is a broad spectrum sunscreen with a matte finish. Also available in a tint to give you an instant GLOW! 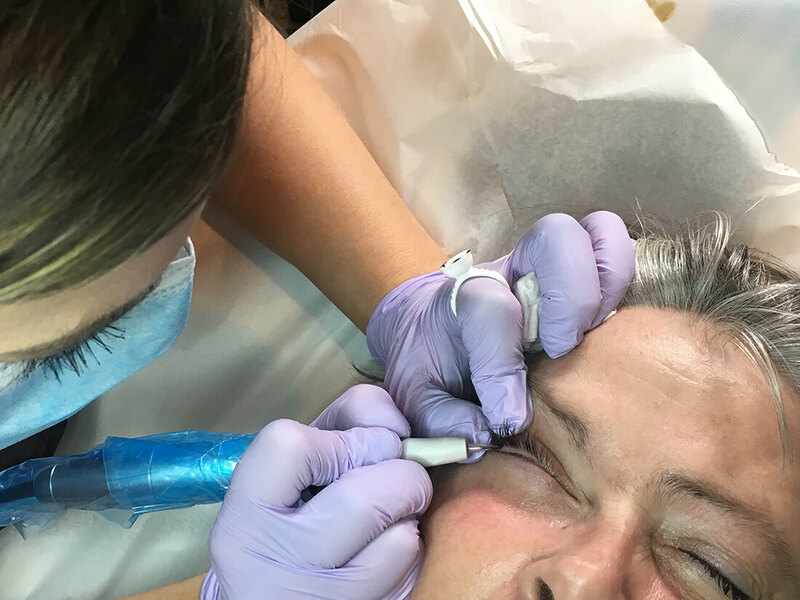 Permanent make-up or micropigmentation is the revolutionary method of depositing hypoallergenic mineral pigments into the dermal layer of the skin. With an ultra-thin needle and pigment, the shape of the eyebrows, eyes or lips is enhanced. 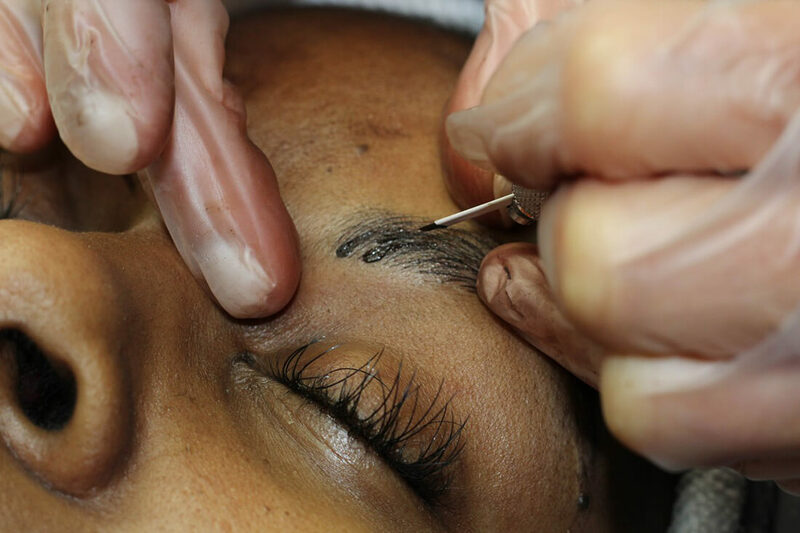 Besides boosting self-confidence, micropigmentation can also lead to a more active lifestyle, personal freedom and save quite a bit of time on make-up application. PMU is also very suitable for people with allergies to regular make-up, contact lens wearers with sensitive eyes, people with glasses or people who are active in sports. 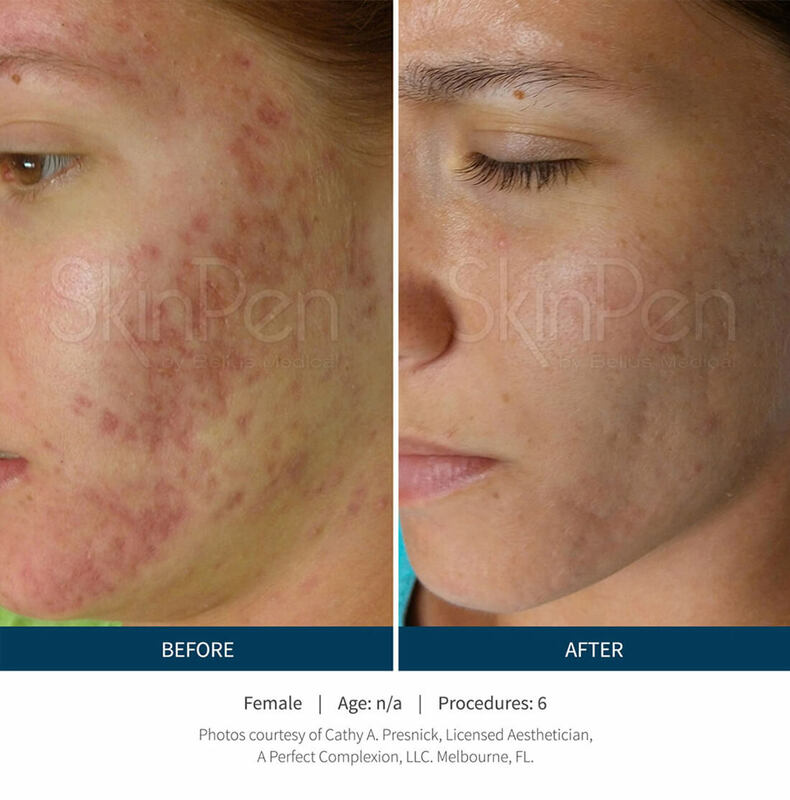 Restylane® Lyft is the first and only hyaluronic acid filler FDA-approved to treat your face and hands. 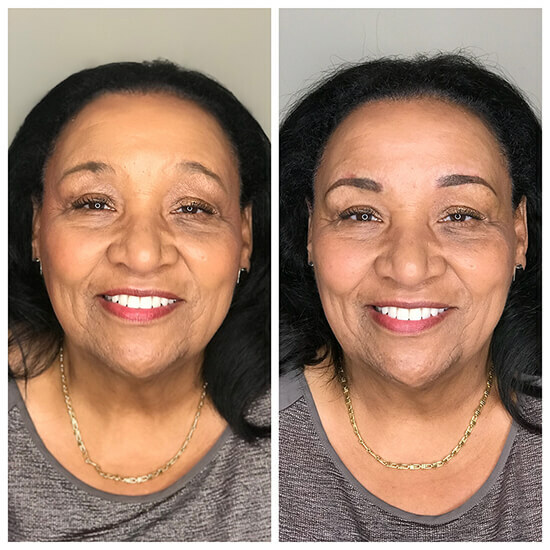 (please italicize face and hands) Help complete your aesthetic look with natural-looking volume in your cheeks and hands for a smoother, fuller appearance. Restylane® Lyft is a safe, effective and dissolvable HA filler. Treatment can be administered in your hands and face at the same appointment — and can result in a more youthful-looking appearance. Actual patient. Treated with 0.5 mL Restylane® Lyft in each cheek, and 1 mL Restylane® Lyft in each nasolabial fold. 4 weeks after treatments. Individual results may vary. Results have not been retouched. SkinMedica® products are scientifically formulated and clinically tested to rejuvenate skin and help rekindle your skin’s youthful appearance. Clemson Eye offers the entire line from prescription-strength cleansers to specially formulated products to hydrate your face, neck and eyes. We stand by these excellent skin care products. They will make your skin glow! One product we love is HA5! HA5 provides immediate smoothing in the appearance of fine lines and wrinkles, and supports the skin’s natural ability to replinsh its own hyaluronic acid for overall skin health. HA5 has a proprietary mix of five HA forms that smooth the skin. The five HA’s work synergistically to provide immediate smoothing and continuous hydration throughout the day. JUVÉDERM® is the #1 selling collection of hyaluronic acid fillers in the US. Each product in the JUVÉDERM® collection of fillers adds volume to a different area of the face to lift cheeks, smooth parentheses lines, or plump the lips. The JUVÉDERM® collection of fillers is made from hyaluronic acid (HA). What’s interesting about HA is that it’s a natural substance in the skin that delivers nutrients, helps the skin retain moisture and softness, and adds volume. Each product in the JUVÉDERM® collection of fillers is made from a modified form of HA. The results are subtle and long-lasting. JUVÉDERM VOLBELLA® XC adds volume to the lips and smooths vertical lip lines. This product has the new VYCROSS technology, which yields smooth products that have been engineered to address specific patient concerns such as lip fullness, age-related volume loss in the cheek area, or perioral rhytids. This is for the patient who wants a more subtle baby lip plump. This is typically a treatment that you can receive over your lunch break and go right back to work with. Results last up to 12 months. 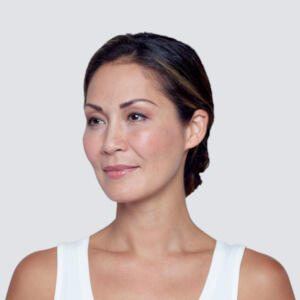 JUVÉDERM VOLUMA™ XC is the first and only gel filler for treatment of the cheek bone area to correct age-related volume loss. 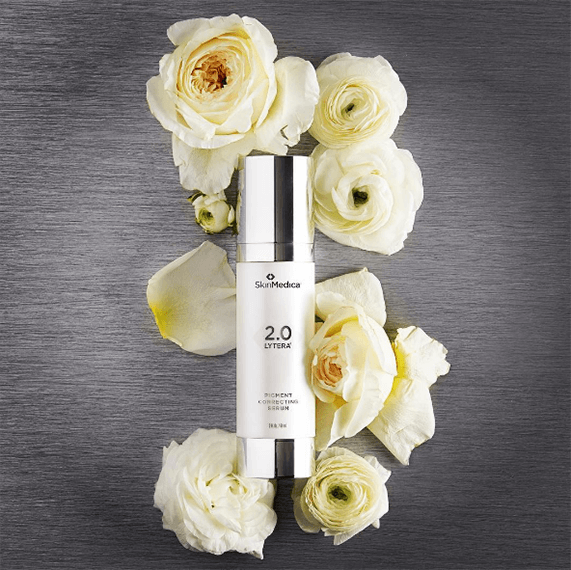 It gives you a subtle lift, helping to restore contour and a more youthful profile, for up to two years. This product helped revolutionize how providers present filler. Now we fill and lift the cheeks becasue fullness is youthfulness. This can take up to five years off your age.